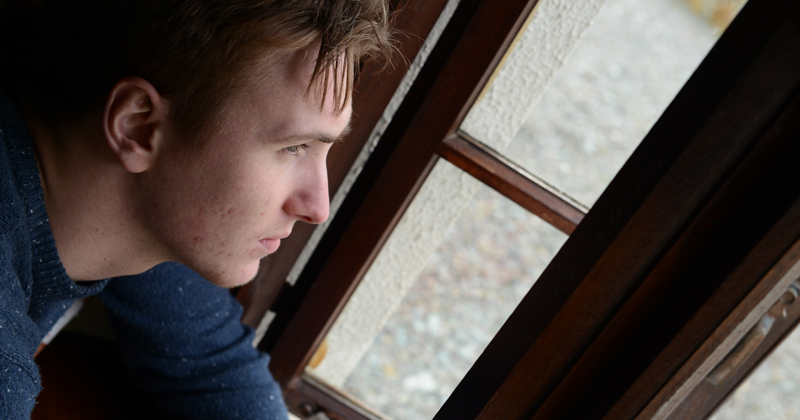 Adopteens is a project commissioned by One Adoption and delivered by PAC-UK which is available to all adopted young people aged 11+ who live in the Yorkshire and Humber area. On Monday 29 October 2018, a relaunch event was held in York, and was by all accounts a huge success. More photos taken at the event can be found at the bottom of this page. 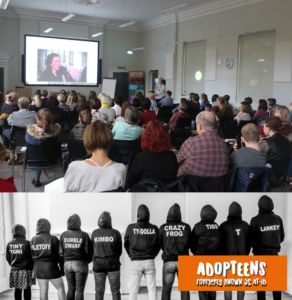 The event, which was attended by over 100 people, provided adoptive parents/carers, adoptees, social workers and professionals an opportunity to hear about an exciting new phase of the project as the group changes it's name from AT-iD Project to Adopteens. Adopteens Project Workers Sara and Gaiena opened up proceedings, and were joined on stage shortly after by Tanya, Claire and Sarah, who have remained part of the project (in varying capacities) since its inception back in 2014. They reminisced on the early days of the project and how it has grown and developed over the years to now include over 50 members! Alexander James Edwards, one of the UK's best-loved Tenors (Telegraph) and friend of Adopteens then took the stage to share his personal adoption journey and reflected on some of the activity days he had attended with the group. Amanda Boorman, founder of The Open Nest, then shared her experiences of seeing the group at their annual activity day at her wonderful La Rosa Campsite in Whitby. Next up was Julie McVeigh from One Adoption's Voluntary Agency Alliance, who spoke about the success and reach the project has had, before Alexander James Edwards returned to the stage and guests were treated to a live performance of Nessun Dorma (see video below). It was quite literally an ear drum popping performance, see baby being carried out at 1min 12secs as a precautionary measure! The event ended with celebratory tea and cake, with Adopteens' cake cutting duties falling to original AT-iD Project Lead, Tanya, see photos below. A great time was had by all and we look forward to keeping you posted with Adopteens service and project developments over the coming months! Visit the brand new Adopteens website for more information on the project!